This trip is perfect for experienced riders who don't want to camp! With estancias and hotels for accommodation you can relax after your long challenging days in the saddle. 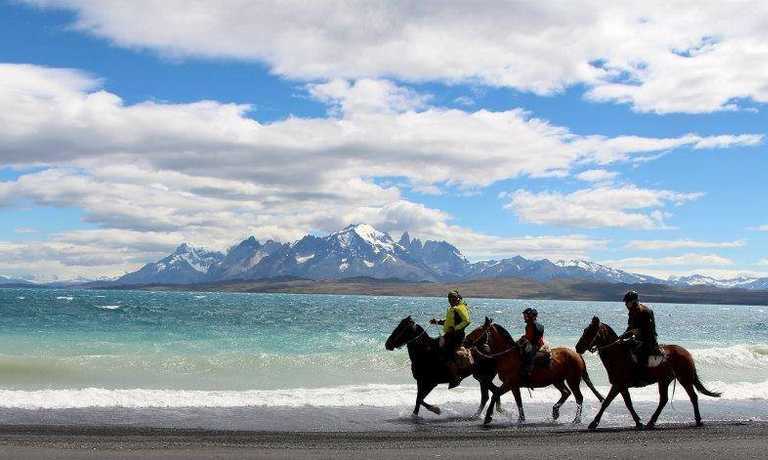 With some fast and technical rides, you can discover the lakes and glaciers of this national park on horseback and relax comfortably in the evening! Arrive Puerto Natales AM. 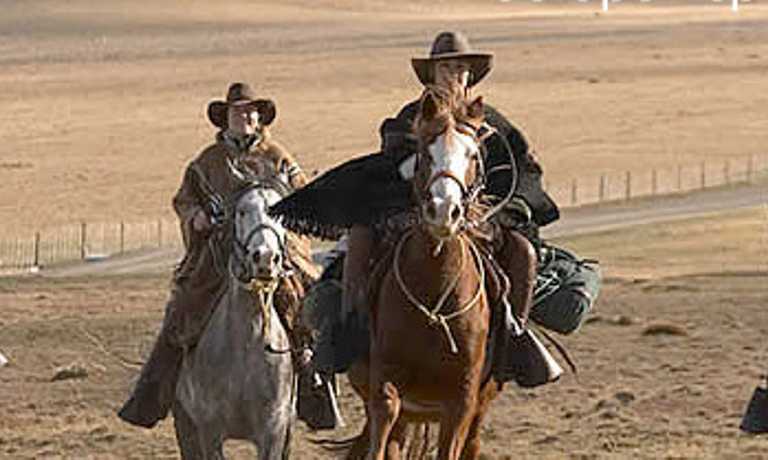 Transfer to Estancia Perales. 2 hours riding in area. Boat to Balmaceda. Ride from Balmaceda to Rio Serrano. Ride to Grey Glacier and Lake. Optional boat trip. Ride back to Rio Serrano. Ride the up and over across the heart of the park to Laguna Amarga. Transfer to Laguna Sofia. Night in country house. Morning ride in Laguna Sofia area. Transfer to Puerto Natales. After breakfast, say goodbye to Estancia Perales and hop on the boat which will dock especially to go for a great ride up the Last Hope Sound. Enter the Bernardo O'Higgins National Park. Shared by the regions of Magallanes and Aysen, this is the largest National Park in Chile and one of five of the most expansive in the world (over three million hectares). With access only via the water, the mountains or the southern ice field itself, it remains a remote and pristine corner of our planet. It also contains the third largest mass of ice on earth after Antarctica and Greenland, so the climate is understandably extreme. We will meet our new horses and have some lunch before setting out on a beautiful trail through thick forests passing pristine rivers and streams in the shadow of the Chacabuco and Balmaceda range of mountains. 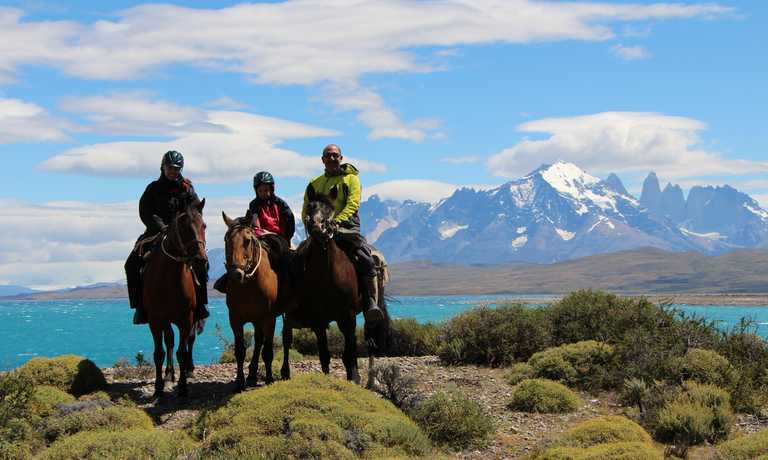 A fairly slow ride today gives us the opportunity to find our riding stride while enjoying the dazzling scenery on our route into the Torres del Paine National Park. Towards the end of the trail, we will cross the Nutria river and come out onto the pampas which marks the end of today's ride, as we approach our hotel for the night. Pampa Lodge. Meals: All meals included. (Wine/drinks not included). After breakfast in the hotel we will pack up and start our ride eastwards towards the heart of the park. We will now be riding directly towards the Paine Massif mountain range so the views are dramatic and beautiful. Our trail skirts the southern edge of the mountains on a rarely trodden path as we pass azure and turquoise lakes with the huge granite mountain peaks standing behind. After a picnic lunch taken in one of the pretty valleys we will continue east onto the beautiful soft pampas of the Patagonian steppe. Arriving at Laguna Amarga a private transfer will be waiting and will take us to Laguna Sofia. After breakfast we meet our new horses, check our saddles and begin our last day of riding in the beautiful area of Laguna Sofia, here we will have great views of the mountains around us. By lunch time we will let the horses rest and we will have a nice lunch. 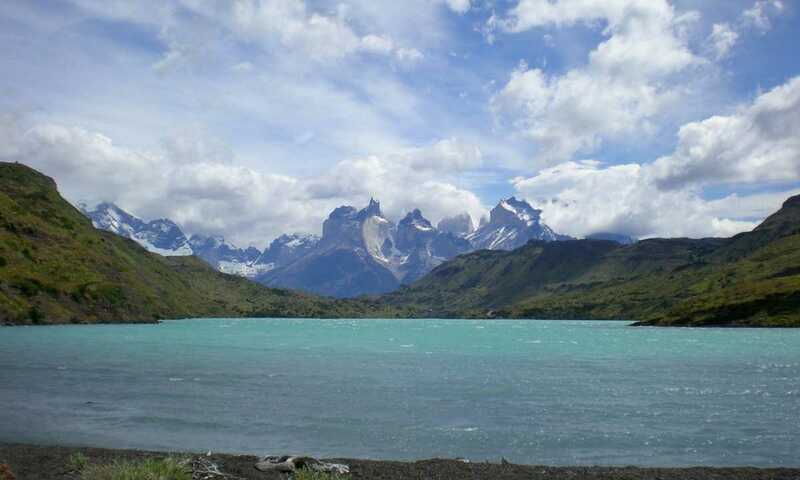 After these lovely views we are ready to return to the guest house, where we will take a transfer to Puerto Natales. This trip can run as a group trip, with prices starting from $3,299 per person for a complete group. If you are looking to join a group or you are a solo traveller we will help to form likeminded groups of travellers. Please let us know your travel plans. *Single supplement: USD $490 for all clients wanting guaranteed single accommodation.